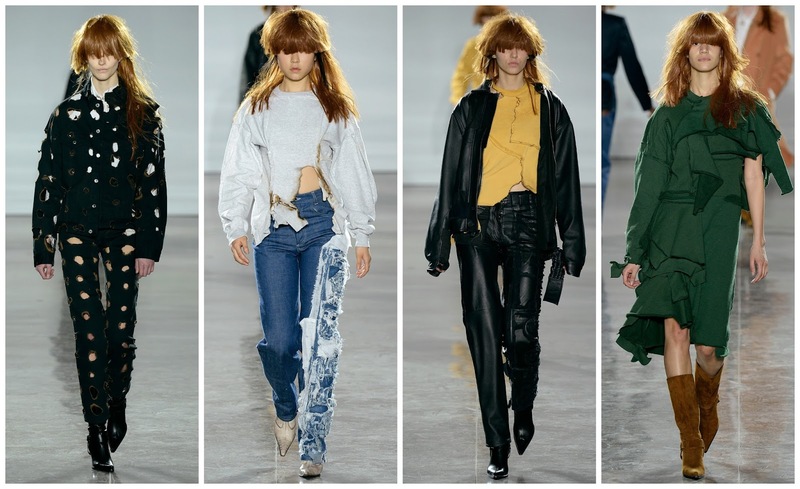 VFiles, New York’s equivalent of Fashion East, kicked off events on Wednesday evening. Some editors were across the country in Los Angeles for the Saint Laurent show. 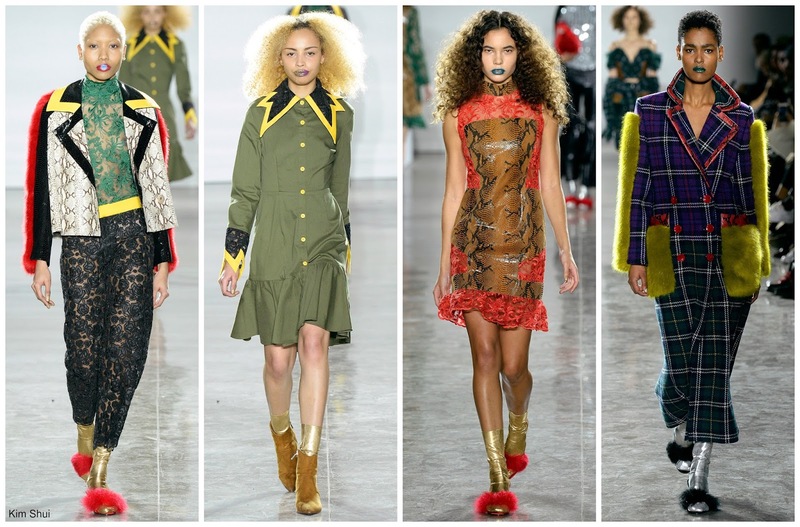 Those at VFiles did get to see the emerging designers of tomorrow. However, this wasn’t VFiles strongest collection. Kim Shui was clearly feeling the influence of Miuccia Prada. An air of Miu Miu and Prada permeated the collection. The second look, in particular, could’ve been plucked from the Spring 2016 runway in Milan. Things did get very interesting with the introduction of plaid, which was contrasted against fur or snakeskin. Those were the looks I wanted to see more of. Ottolinger are a designer duo (Christa Bösch and Cosima Gadient), Swiss purveyors of denim. Holed pieces took to the runway in a refreshing spin to the classic. Ripped jeans are all the rage, why not have utterly distressed pieces? They were inspired by Harold Koda’s Japanese view of death, and the beauty behind the madness. Like Faustine Steinmetz and Marques’Almeida in London, New York’s Ottolinger are reinvigorating the classic wardrobe staple without being tied down to it. A+. I’ve always been interested in Shane Gabier and Christopher Peters label Creatures of the Wind. They consistently create lovely pieces. For the past two seasons I felt their collections lacked vision. Fall 2016 marched in and altered that. Sashaying a red carpet ballroom, the models were immaculately dressed in neatly cut and well structured clothes that I have immediately claimed to be “their best collection thus far.” A bold statement to make, sure, but this was like no other. For starters there was the slick hair and crimson-kissed lips. “Bitchy” red it was dubbed. Styled with grey A-line dresses, beautiful coats, pencil skirts, and daring sweater dresses, the make-up and hair worked symbiotically with the clothes. There was a leather skirt, a foray into the unknown: sexiness. Heretofore the brand has been preoccupied with geek chic, and though that characteristic was upheld, this was a confident offering—something that typically lacks in New York. Knee high boots and dresses, leather dresses, lace bodices, sheer blouses. 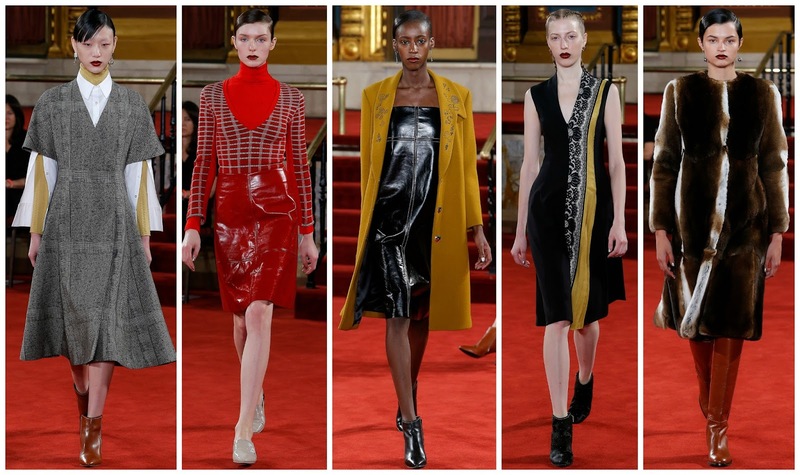 There was one black PVC dress paired with a mustard coat that had illustrated lapels, splendid. A directional offering from two of New York’s finest. lThis Creatures of the Wind collection is to be remembered. Kanye West is an interesting man. A polarising figure, an interesting man. I recently watched the two hour interview with Kanye, that Lou Stoppard of SHOWstudio conducted. I find him to be a very thoughtful person in one-to-one interviews. The portrayal of him in the media is usually sinister and encourages hatred; so I found it interesting to see a different side to him. If his recent social media antics are anything to go by, he’s completely undone that good image by claiming Bill Cosby’s innocence, to engaging in a Twitter feud with Wiz Khalifa, and blasting Puma for reportedly offering Kylie Jenner a seven-figure sum. New York Fashion Week’s schedule was again disrupted with the arrival of Yeezy Season 3. 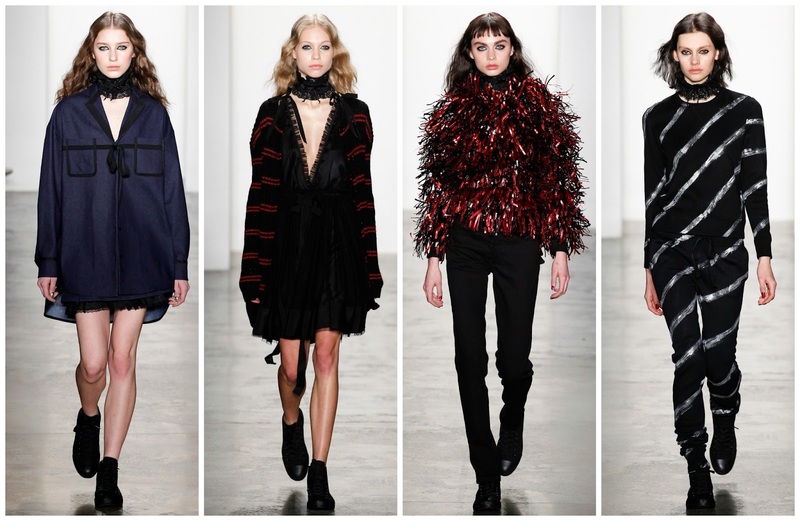 Marissa Webb and Adam Selman both had to reposition their shows, which was luckily done smoothly. Fashion week democracy aside, and his idiotic album promotion too, the show, season 3, was held at Madison Square Garden. Playing host to 18,000 people for the show, tickets sold out within 10 minutes and cinemas screened the event live worldwide. All this fuss for a fashion show and album listening party for his new album ’The Life of Pablo'. When you’re Kanye West, ey? The clothes themselves: wider colour palette, still boring. Kanye has defined his aesthetic and progressed this for Fall, but I’m still painfully bored. The Yeezy 350s, I still believe, are his best design to date. I want them in every colour. This season’s shows were waterproof, an innovative move. The show did take a turn for the political. ‘Refugee' camps were flooded with models, separated by gender. As pointed out by Nicole Phelps, “should images of such disenfranchisement be used for the purpose of selling clothes and sneakers?” This brings us back to the Prada debate during the week. This was considerably more blatant in its execution, but the clothes didn’t evoke a sense of the set’s theme. Such a delicate topic presently, the use of this ‘camp’ is culturally relevant and Vanessa Beecroft’s stage direction—models stood still (some sat) for an hour and a half—added to the socio-political awareness of it all. Very good album, mediocre clothing. Three disparate worlds collided at the Adam Selman show on day 2 of NYFW. An illustration from his friend Justin Theroux, David Bowie and documentary series Making a Murder all provided inspiration for the collection. Glamour with a bad girl edge was done well at the show, as it usually is. This season, I felt there was a heavier focus on ‘glamour’ which wasn’t necessarily a bad thing. A black jumpsuit with side cutouts provides for malleable wardrobe implementation. A lustrous, red slip dress with lace trim and a black dress with a tinsel skirt are two of the most daring looks we’ve seen from Selman. Placed next to a silver-striped sweater and pants, a metallic red asymmetric dress was stark in contrast but linked together with the black Converse. Staunch Selman supporter Rihanna would effortlessly pull off any of the above, specifically a silk pyjama top worn with lace trim shorts and a lace choker. More pizzazz this season didn’t diminish his aesthetic, in fact the aforementioned Converse grounded the collection and made it an even stronger effort from Selman. 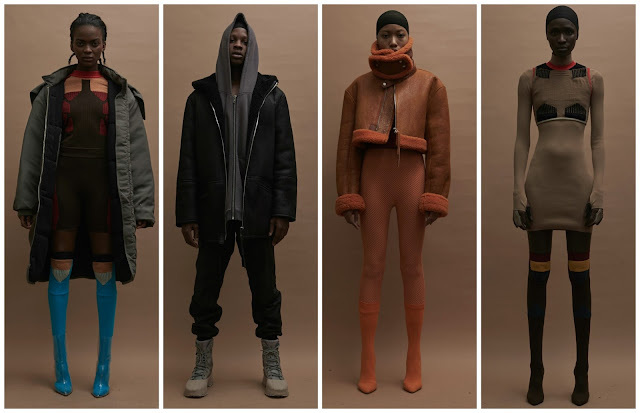 On a day where the spectacle of Kanye’s presentation threatened to outshine the other designers on-schedule, this collection managed to stay above water and did what Yeezy season 3 couldn’t: impress.